I was recently asked by the ‘Small Enterprise’ magazine to contribute the ‘Digital Marketing’ special edition. I contributed this piece on the ‘Basics of Planning a Digital Marketing Campaign’. 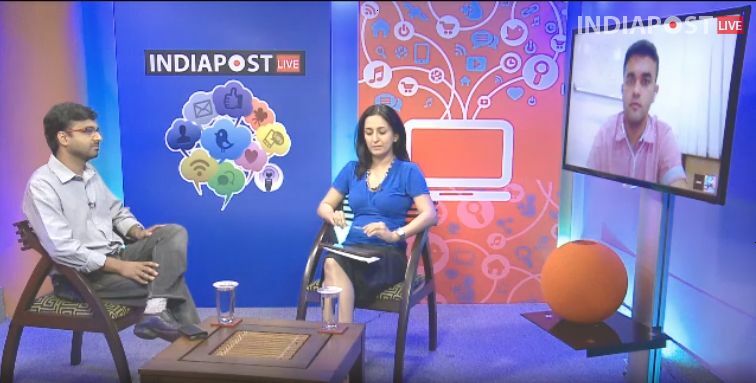 I was recently invited by Indiapostlive.com, India’s first web-tv to share my thoughts on Twitter Goof-ups by celebrities in India. BJP candidate from Amethi Smriti Irani tweeted that the SO was drunk, setting off a #SoDrunk trend on Twitter. We take a look at similar Twitter goof-ups. I was recently quoted in the CIO magazine’s article titled: The New Wall Street-Indian CIOs’ Success with Social Media Marketing. Social media marketing is not the new kid on the block; it’s a dragon on your porch, waiting for you to tame it. Despite social media emerging as tomorrow’s most important marketplace, few IT leaders have made it a priority. To read the news story please visit here. Times of India has been given the ‘Buzzy 10 Award’ for catering to the consumer in a complete 360 degree way.